PTSuks Uncanny World: Video : H1Z1 Top Ten Tips For Beginners #07!!! 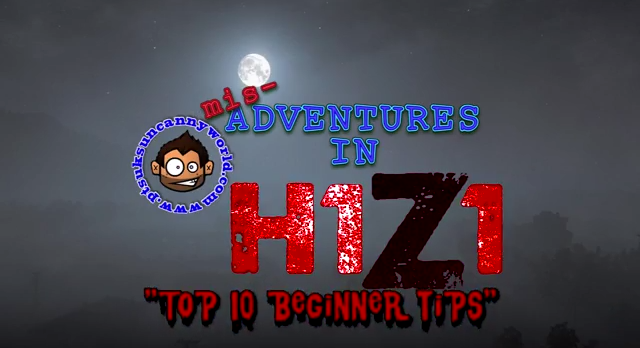 Video : H1Z1 Top Ten Tips For Beginners #07!!! I've been playing H1Z1 and streaming on Twitch ( < click to follow me there for upcoming livestream of gaming!) This is the gameplay video from those sessions edited down with some added flair, hehe. After numerous friends inquired about the game, and a few started playing, I was getting a few questions on what were some basic tips to playing the game. So I created a series of quick little videos answering those questions! These videos give little tips on how to play the game and what to look out for. Here is tip #7 When You Find Food, EAT ASAP!! !